Since my initial post on data visualisation (http://www.martinsights.com/?p=492), I have noticed a steady increasing interest in the topic. This is especially noticeable in the business intelligence (BI) field, as more and more organisations are realising the value of using visualisation to positively affect their day-to-day interactions with data. 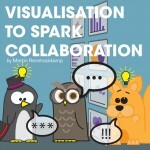 In this post I focus on the use of visualisation for improving collaboration, especially in the context of innovation. Related to this topic, PBT Group will be hosting Stephen Few of www.perceptualedge.com for his Visual Business Intelligence Workshop in Johannesburg, South Africa, on 3 – 5 June 2014. Stephen will be discussing approaches how to effectively present data visually and how to discover, highlight and surface the facts contained within the data. To find out more about the workshop, please visit http://www.pbtgroup.co.za/events/. I attended Stephen’s workshop in Melbourne last year, so I can confidently advise that you shouldn’t miss out on a fantastic opportunity to learn a great deal from this world leading expert who is presenting in South Africa for the first time ever. Let us commence with a contemporary definition of visualisation to help us to better understand what it is intended for. One of the definitions that I came across in my research is ‘Visualisation is the process of representing abstract business or scientific data as images that can aid in understanding the meaning of the data.’ The key phrase for me here is ‘understanding the meaning of the data’, as this is exactly what businesses require in order to be able to derive insights from their data, and then to use those insights to make valuable and correct decisions. 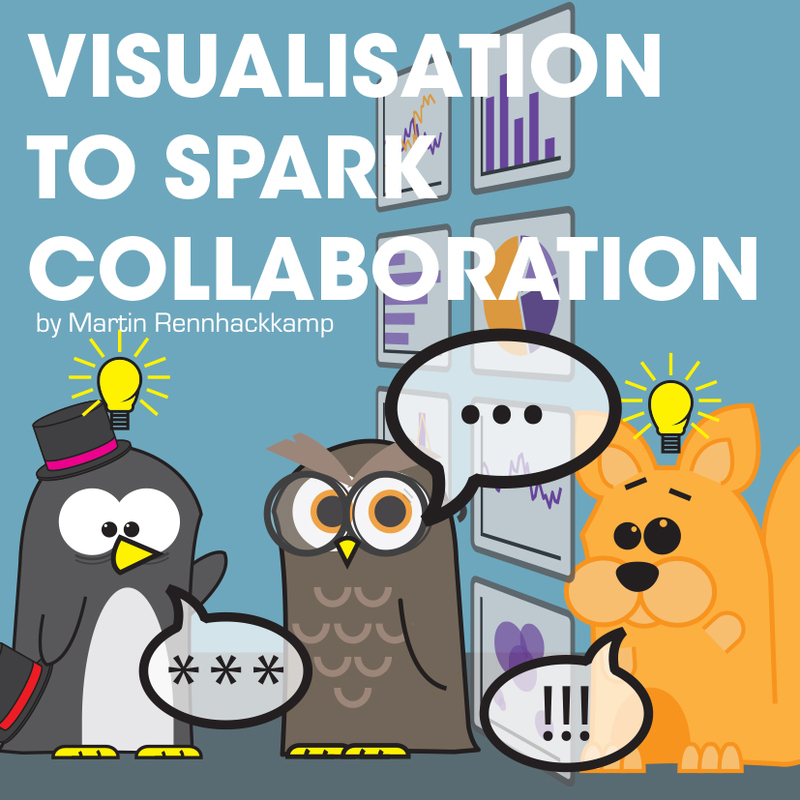 So then, how can organisations improve on their utilisation of visualisation to analyse and depict data and how can those visualisations spark more collaboration and innovation within the organisation? Firstly, I would suggest that when organisations are searching and sorting through their data and are trying to comprehend it, they should think more creatively about presenting and analysing it. Secondly, they should look to incite more human interaction and find out how that will be more insightful for them. That is where data exploration using data visualisation tools can be very productive. This means that when presenting data in a more visual way, analysts need to understand which paradigms and graph types work the best and stimulate more awareness and better understanding of the data. Each organisation would probably have a different preferred way of visualising their data. Take for example, a marketing company: Data visualisation is a very popular tool in marketing courses, as it allows users to present all the required information in one easy to use format. This same premise can be applied to most businesses – where one can use visualisation tools to arrange a company’s data into simple graphs and charts, giving them a more simplified way to identify what they need to target in terms of the market and its demands, as an example. Furthermore, organisations can also use visualisation to track adherence to strategic goals and measures, where the data typically displayed as tabular figures on a strategic dashboard is now displayed visually as graphs. Targets, thresholds and exceptions can be better represented by particular graphs than in tabular data-oriented dashboards. By analysing the data visually and interactively, you can identify problem or outlier situations, investigate the effects of possible solutions, run brainstorming sessions for new marketing ideas through what-if analyses, and similarly integrate and analyse other related data. This is not only a more efficient way of understanding the data, but it also encourages more communication, teamwork and cooperation. In fact, if an organisation truly makes use of visualisation, it can invite more interaction among employees, as they will understand what the data represents a lot better and as a result, they will delve deeper into the information that is presented to them to give more concrete and creative feedback and spark more ideas to improve the operations of the organisation. Many experts in the field of BI have presented showcases how visualisation has made an impact on an organisation and how it can be utilised as an influential invitation to connect and interact with both the material and each other. Simply put, visualisation should be less about presentation and more about the user’s experience – ensuring people actually understand the content and meaning of data that is presented to them. Given that our world is often cluttered with information I would urge all analysts to examine the implementation of visualisation in their organisation early on in their BI maturity roadmap. However, do not fall into the trap of seeing visualisation as a medium that merely substitutes images for words, but rather that it acts as an interface for human exchanges and through that drive better understanding and participation. In fact, in the end visualisation should actually facilitate collaboration around innovative opportunities.